Baldasso Cortese are hosting a BIGGEST MORNING TEA! Since 1993, when Australia's Biggest Morning Tea first began, over 61,000 Australian lives have been saved thanks to their funding for cancer research. The Cancer Council needs our support to help raise more vital funds to save more lives and provide support those affected by cancer. 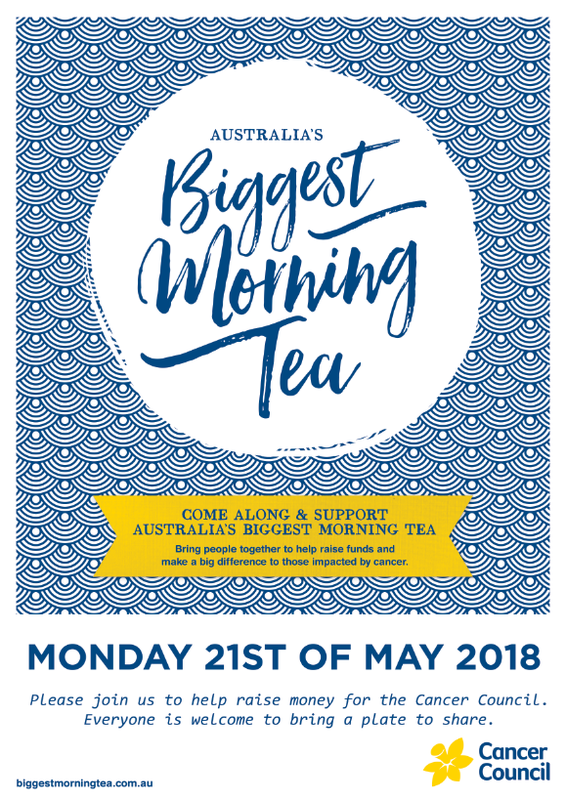 This year, Baldasso Cortese is taking part in Australia’s Biggest Morning Tea on Monday 21st of May and we encourage EVERYONE to take part in the event to help. Every cup of tea we serve helps Cancer Council to fund research, support services, prevention programs and advocacy. Please help us raise awareness and as much money as possible for such a worthy and well-deserved cause, by clicking here!